We have had an outbreak of Parvo Virus at Cafitachiqui Kennels brought about by an outside canine that was brought onto our property. We have practiced for years never letting outsiders around our canines for several reasons to include fear of infection of our beautiful canine family. Well it happened. We lost several of our beautiful Siberian Huskies to this killer virus. Parvo is no joke It is a very serious killer in canines. Not only is it serious, it is a nasty disease and it is horrible to watch your beloved companion endure. The parvo virus acts like coccidian in the system infecting cells in the intestinal tract and littering destroying the gut which is what your canine begins to pass when the bleeding stage begins. Although the virus is primarily one of the digestive system and intestinal tract it also effects the heart muscle. Immediate treatment is imperative! Treatment should begin the moment you realize your canine companion is showing signs of illness. Once the virus spreads to the stage that you begin to see the bloody stools it is most likely too late to save your beloved pet. Parvo virus may be in the system a few days before you notice the serious effects of the disease. For this reason the slightest hint of illness needs immediate attention. From the time you realize through physical symptoms that your canine has Parvo Virus the disease has spread to a rapid rate of destruction and death can occur within hours of your first observation of the seriousness of the situation. Early prevention in the way of vaccination is not always a preventative for contracting the deadly Parvo Virus. Conversely, from my own experience, if a canine has been in contact with an infected animal it is not necessarily wise to treat with a vaccination at that time. Your canine has to have a strong immune system to battle the Parvo Virus. Dogs under the age of two will have a more difficult time battling this killer virus. When you try to “help” your beloved pet by getting the Parvo Vaccine after exposure you could actually be doubling the viral population in your pet. Parvo Vaccine is a modified live vaccine [MLV] which means when your canine receives the vaccine you are actually injecting your it with the live virus. When your pet has been exposed and already has the virus in his or her system and you then attempt to vaccinate with a MLV as a precaution you could be decreasing the likelihood of your pet surviving this horrible viral infestation by increasing the toxic virus in the animal’s system. The deadly Parvo mob is veracious; this is why quick action is necessary for any chance of survival. Parvo is like a school of piranha in your pet’s intestinal tract. The only way to give your infected pet any chance of survival is for him or her to begin immediate care at the onset. Of course, a healthy pet has a stronger immune system and may be able to fend off the disease better than an unhealthy pet. After receiving vet treatment for several of my infected Siberian Huskies and after my own treatment of several more I feel that not enough is done in the vet’s office to increase your pet’s survival. LET ME ADD HERE THAT I FEEL WE HAVE A FABULOUS VET!!! That said, keep in mind that canine Parvo Virus is relatively new having mutated in the 1970’s. The virus is still much of a mystery even in the medical world. There is not much in your Vet’s education that has given him or her perfect tools to fight an active Parvo Viral infection. The standard method is to basically treat with sustainable electrolyte fluids through an IV which may include famotidine [pepcid or zantac] for gastric upset, Reglan or something similar for nausea/vomiting, and possibly an antibiotic to combat any secondary infections that can develop. A dewormer such as Panacur may also be given during treatment. Keeping your pet hydrated with liquids through an IV is the standard for most all veterinary offices. These steps may not be enough to save your infected canine but can cost you hundreds, even thousands in vet bills. In addition, your pet is not necessarily receiving around the clock care. Standard vet offices leave your pet alone overnight so they go all night with only a liquid drip and no other care throughout the night. Even an hour without care can make the difference between life or death in a Parvo case. On the weekends there is even less care if the office is closed on Saturdays or Sundays. In this case someone may go into the office once or twice a day to do a standard check and then leave. The individual assigned to this duty will take care of certain needs observed at that time and then the office is again empty until the next business day. 24-hour emergency vet hospitals may provide more around the clock care but they are also very expensive. This is where your vet bill can run into the thousands although the end result may still be the loss of a beloved pet. While our vet was trying to save the lives of some of our Parvo infected canines I was at home trying to save the lives of others who had also contracted the deadly virus. I have told my husband in the past that we seem to learn new and important lessons at the expense of the lives of our beautiful Siberian Huskies. The key to healing a Parvo infected canine is strengthening of the immune and digestive systems. I was able to catch some of our infected sibes early and began my on treatment regime which I can say has had positive results. 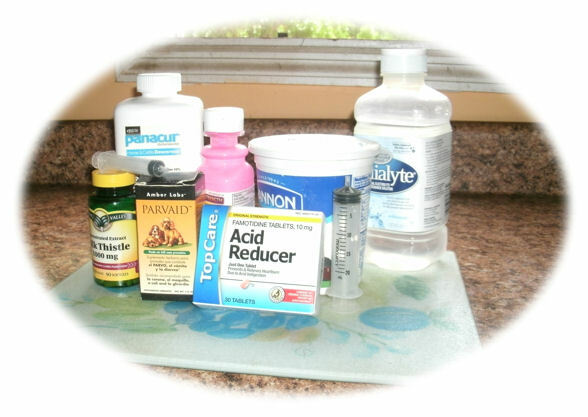 Because we are breeders we have certain things on hand that the average person at home does not have like antibiotics. The rest of my treatment has involved items easily purchased. I have found natural yogurt is probably one of the most important defenses in treating the Parvo Virus and most any other gastrointestinal upsets. However, yogurt needs a partner in the form of milk thistle available in any pharmacy with the natural herbs and vitamins. Milk thistle comes in gel caps. Yogurt and Milk Thistle can be valuable in maintaining gastrointestinal health in yourself and in your pet. Yogurt is an effective anti-viral, anti-microbial. It contains an important protein called Glutathione. Milk Thistle contains Salymarin which helps the cells utilize the Glutathione. Glutathione is necessary in strengthening immune system responses to infection. Both Yogurt and Milk Thistle are beneficial for liver and kidney health. Both help assist the body in removing toxins. When the liver or kidneys are damaged their inability to detoxify the body can bring on serious debilitating health problems. The use of Yogurt and Milk Thistle works to improve liver and kidney health which helps them to function in their proper detoxifying capacity, both essential in the immune system’s ability to heal. Yogurt also benefits bile motility and helps to increase pancreatic function. The liver and kidneys are affected when a canine contracts Parvo Virus. This combination was given to my home treated sibes several times throughout the day. Along with the Yogurt and Milk Thistle I treated the infected canines with regular doses of Pedialyte with Parvaid added by enema or orally if they could retain the fluids. Parvaid is an herbal concoction that I had ordered when I thought another of our Siberian Huskies had come down with Parvo. Its efficacy is questionable but its ability to sooth and calm the stomach I thought would benefit my sibe babies who were very ill. 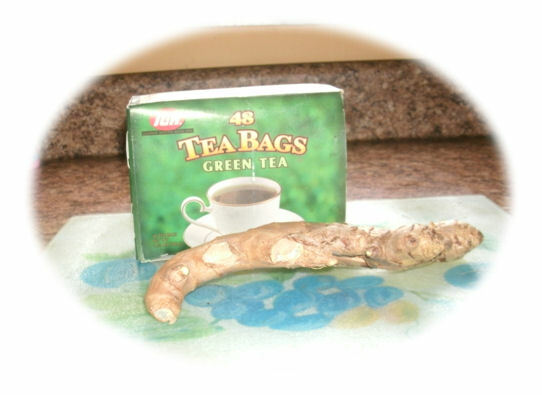 Using fresh ginger tea or peppermint tea with some fresh ginger grated and steeped in the tea can also sooth the stomach. Pepto Bismol is another of my tools of choice for soothing an upset stomach. This product is safe for canines. At the same time I gave each sick canine regular doses of Famotidine (Pepcid) to calm the gastric irritation. Each affected animal was also given daily doses of Albon, generally used to treat coccidia. Along with the Albon [amount given depended upon weight of dog] I gave each canine a 500 mg Tetracycline twice a day (every 12 hours). Tetracycline helps treat infections of soft tissue which I felt was critical in helping to protect the damaged intestines from further irritation. I also gave small amounts of Green Tea. Green Tea has an amino acid L-theanine which helps T-cells produce interferon. This too aids in boosting the immune system’s ability to fight the Parvo Virus. Since Green Tea also inhances insulin production it is easy to understand how using Green Tea and Yogurt are good natural methods for improving pancreatic health vital to the body’s ability to process insulin both in humans and in canines. 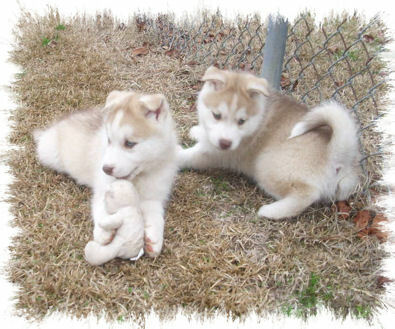 Out of our Siberian Huskies infected with the deadly virus I have so far saved five and lost one. We actually lost three at home but I only had an opportunity to try to treat one of them. Of the six I treated, five are still with us today. This is an excellent success rate compared to that experienced by most veterinarians who practice medicine daily. Keep everything you touch disinfected, preferably with a bleach cleaner comprised of 1/3 cup bleach to 1 gallon of water. This cleaning includes your clothing, shoes, hands, houshold door knobs, floors or rugs you've tread on with the virus; anythiing and everything that you can clean to eradicate the area of any trace of the virus. NEVER EVER give your Parvo infected canine Bleach in an attempt to kill the Parvo. Although the Parvo Virus is killed externally by bleach, it does not work internally and is adding more toxicity to the already toxic nature of your beloved pet's digestive system.